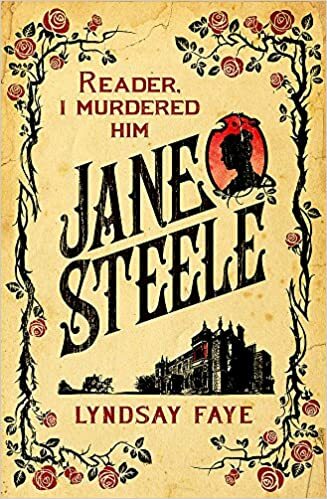 I am a big fan of Lyndsay Faye, but I couldn’t really pick up her 2016 work Jane Steele until now because I had not read Jane Eyre until late last year. While I’m sure you could read Jane Steele without reading Jane Eyre, I don’t know if you’d really see all that Faye is accomplishing in this work if you did. For that reason alone, I’m glad I waited. I love a quality retelling and Faye is absolutely delivering on that front. Jane Steele borrows the form and style of its predecessor and tells another story of a young woman attempting a life of her own, on her own terms. While in Jane Eyre we see Jane become an individual and stand up for herself as a person worthy of whatever agency and independence she can carve out for herself, the Jane of Jane Steele is already confident and independent, but still fighting a sense of her own impending doom. Jane Steele is convinced from an early age that the only way to see her dead mother again is to commit a sin so great as to end up in Hell, and knowing herself capable of murder, she leans into this new persona. As her life progresses from child, to teenager, and onto early adulthood Jane falls back onto this skill set whenever a danger presents itself. This only covers the beginning third to half of the book, once Mr. Thornfield arrives in the book broadens its scope. There is no woman locked in the attic in this book. The subtext of passion and sexuality in Jane Eyre become text in Jane Steele. The dearth of agency and independence that was possible and probable in the mid-1800s is still rife for discussion. This books is just flat out GOOD and I am having trouble finding the words to say exactly how good it is, so I’m going to stop trying after nearly two weeks of fighting with this review and just implore you to read the book. This book was read and reviewed as part of the charitable Cannonball Read. This entry was posted in Cannonball and tagged jane eyre, Lyndsay Faye, retelling. Museum professional, caffeine junkie, book lover, student of history, overall goofball.